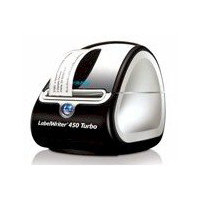 You can handily print one label or hundred with DYMO Label™ v.8. 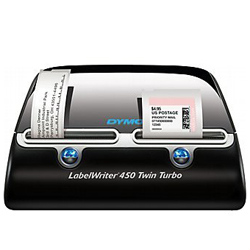 With DYMO Label™ v.8, you can design extravagant labels and print them with any of the two DYMO LabelWriter printers. 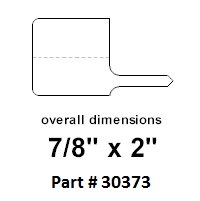 With this software, you can quickly find any label size and design you need. You can choose 60+ label types and sizes from a visual catalog, in 100+ predesigned layouts. You can sort by label type and pick your own designs. At the same time, you can also choose from recently-printed labels to save re-work. 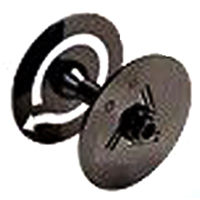 One click can take you directly to the DYMO Web site, where you can buy additional quantities of any label. 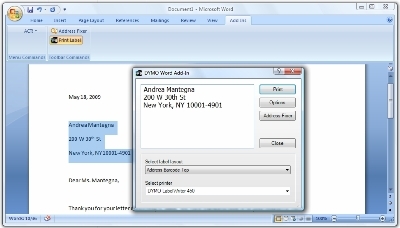 With DYMO Label™ v.8, you can work directly with your current addresses. You can read the DYMO Address Book straight into your Outlook or Mac® Address Book. Thus you can work with your current addresses smoothly, without the hassle of synchronizing another address book. In DYMO Label™ v.8, you can quickly find addresses, based on any field. Just click to print multiple addresses and create your own address books for clients, monthly payments or any other purpose. Now you can make a lavish impression with your own custom label designs. 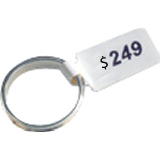 Add your own logo, graphics, clip art and shapes in DYMO Label™ v.8 and make your jewelry label prints. 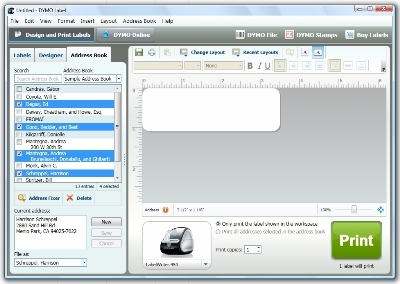 In this software, you can also change the font and size of your text. 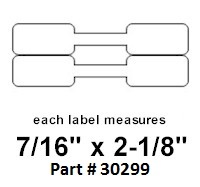 It automatically re-sizes everything to fit on your label. 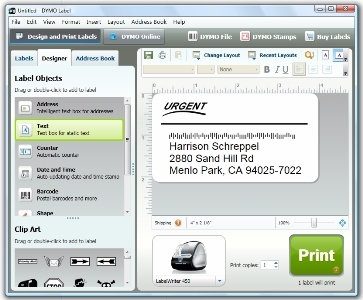 DYMO Label™ v.8 also saves your custom designs which you can reuse in future with just a few clicks. 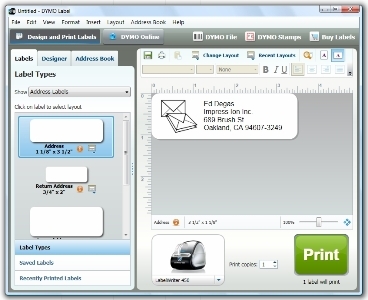 In DYMO Label™ v.8, you can print labels directly from your favorite programs. No retyping or program swapping is required! Just print from Microsoft Word, Microsoft Excel, or Microsoft Outlook, QuickBooks®, or CardScan by selecting the text and clicking an icon. Save time, get helpful answers fast. 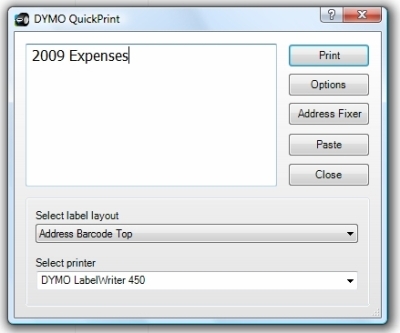 Launch DYMO Stamps® or DYMO File™ LT software from within DYMO Label with a single click. And click DYMO Online for direct access to tips, tricks and more.